Extensive research has shown that transgender people endure severe, pervasive, and persistent discrimination. Far less attention has been paid to understanding the prejudice that motivates this discrimination and how it might be reduced. While education has long been cited as a cornerstone of reducing prejudice and has been shown to be effective in reducing prejudice towards lesbian, gay and bisexual people, the academic research exploring the effectiveness of education in reducing anti-transgender prejudice are in their infancy. To address this paucity, this initial exploratory study collected teaching methods data from 20 professors and transprejudice data from 783 students at 17 universities in 14 states during the spring of 2013. 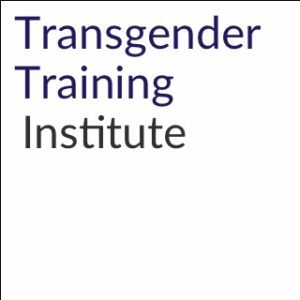 Analysis of these data determined two key factors: those who had met a transgender person prior to the class had significantly lower levels of anti-transgender prejudice than those who had not, and, that education can and does play a substantial role in reducing anti-transgender prejudice. Of particular significance, the findings of this study indicated that interventions to reduce transprejudice are most effective when they are 3-4 hours in length and that covering transgender-related content for less than 2 hours is ineffective in reducing transprejudice. Presenting a potential biological cause and having transgender guest speakers were also found to be significantly relevant in reducing prejudice. 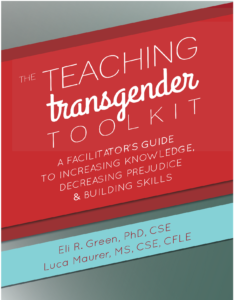 Overall, these findings offer concrete guidance for educators teaching transgender-related content with the goal of reducing students’ prejudice toward transgender people. * This research was awarded the 2014 Widener University’s Center for Human Sexuality Studies Distinguished Dissertation Award & winner of the 2014 Society for the Psychological Study of Social Issues (SPSSI) Dissertation Award’s Second Prize.